Although the C-HR made its debut in 2016, it wasn’t until the 2018 model year that the subcompact crossover SUV made its way to the United States. With a body that is shaped like a hatchback, the 2018 Toyota CH-R comes with five doors and is available in XLE and XLE Premium variants. The workhorse on the 2018 Toyota C-HR is a 2.0-liter inline 4-cylinder engine that produces 144 horsepower and 139 lb-ft of torque. A continuously variable transmission (CVT) is pinned to the engine for smooth driving and improved fuel efficiency by using a continuous range of effective gear ratios (thus its name), rather than the gear shifting mechanism of traditional transmissions. Included with the CVT is a drive mode selector that comprises Normal, Sport for a firmer, more exciting driving feel, and ECO for muting less essential vehicular functions to boost gas mileage. With its powertrain configuration—and adopting a front-wheel-drive system—the C-HR gets 27 mpg in the city and 31 mpg on the highway. Designed as a five-seater with two sport fabric-trimmed rows and 83.8 of passenger volume, the vehicle provides 19 cubic feet of space between the rear seats and the liftgate for luggage. However, by folding down the rear bench-style seat, you can extend cargo space into the cabin for a total of 36.4 cubic feet. If you get the XLE Premium, front seating is upgraded to 8-way adjustability (from 6-way), driver-side power lumbar support, and heating capability. For comfort and convenience, the 2018 Toyota C-HR has base-level features such as remote keyless entry, HD Radio, Bluetooth for hands-free phone calling and audio streaming, voice recognition, a 4.2-inch multi-information display screen, and six-speaker audio that includes a USB media port and an auxiliary audio jack for connecting mobile devices, as well as a 7-inch touchscreen. On the XLE Premium, Toyota adds a smart keyless access system with push-button engine start. For restraint and cushioning, Toyota gives the 2018 Toyota C-HR a pair of front impact airbags, a driver’s knee airbag, a front passenger-seat cushion airbag, dual front side-installed side impact airbags, and two front and two rear roof-mounted side curtain airbags. Also on the C-HR are the Star Safety System, which combines electronic vehicle stability, traction control, an anti-lock braking system, brake assist, electronic brake-force distribution, and smart stop technology; and Toyota Safety Sense P, which comprises advanced safety features like automatic high beams, pre-collision system with pedestrian detection, and lane departure alert with steering assist. And there’s hill start assist to prevent the vehicle from rolling backward when starting to drive from a parked position on a steep slope. Toyota adds a blind spot monitor with rear cross-traffic alert on the XLE Premium. Ready to be one of the first people to try out the Toyota C-HR? 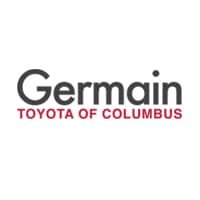 Come to our dealership today to speak with one of our Toyota specialists. Test-drive one, figure out your preferences, and speak with one of our experts regarding financing options.